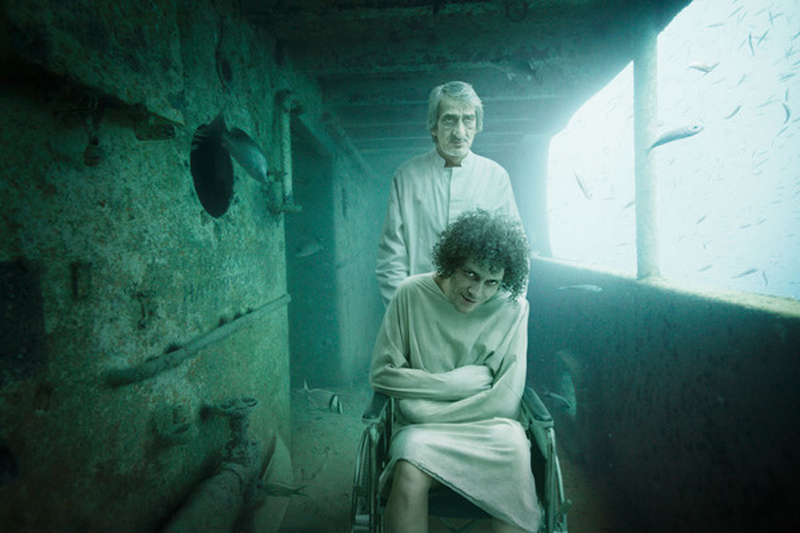 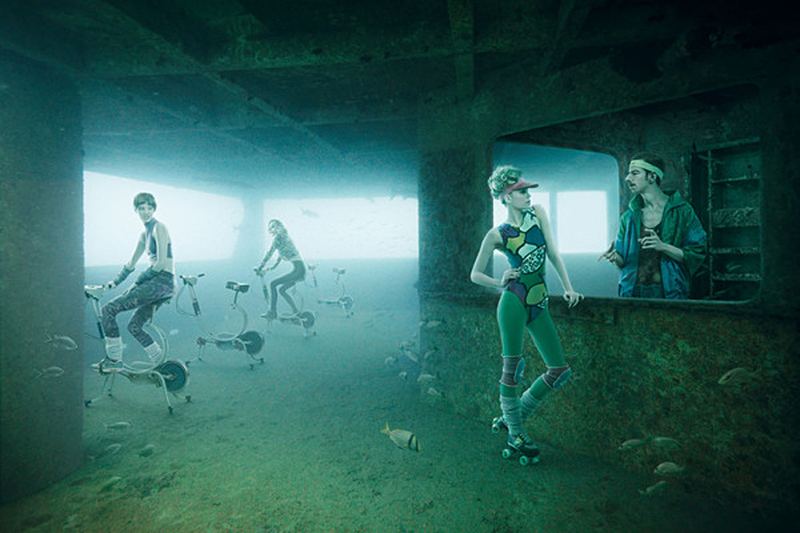 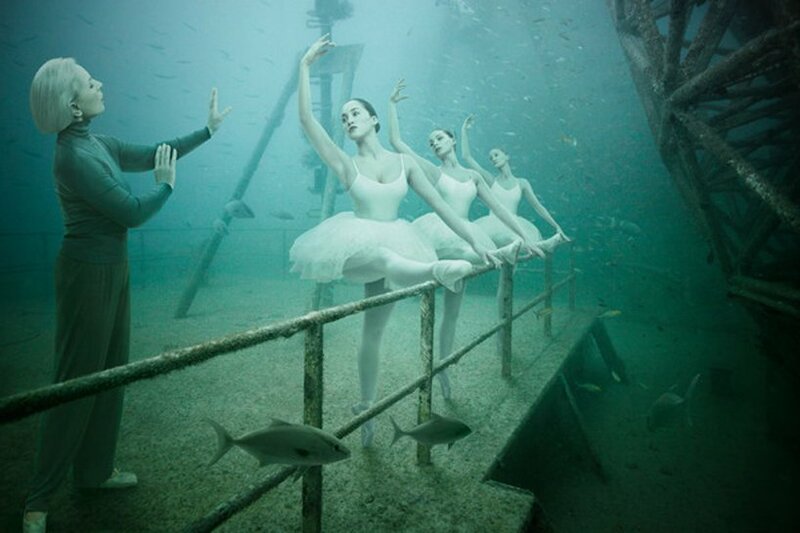 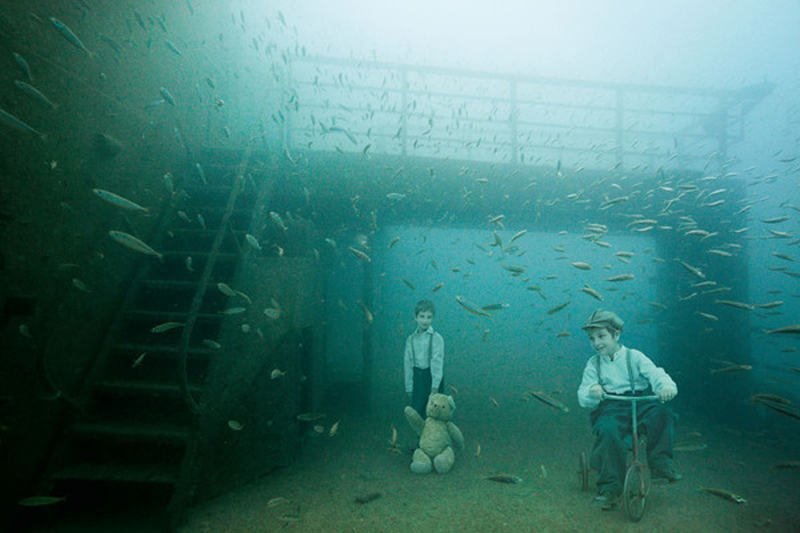 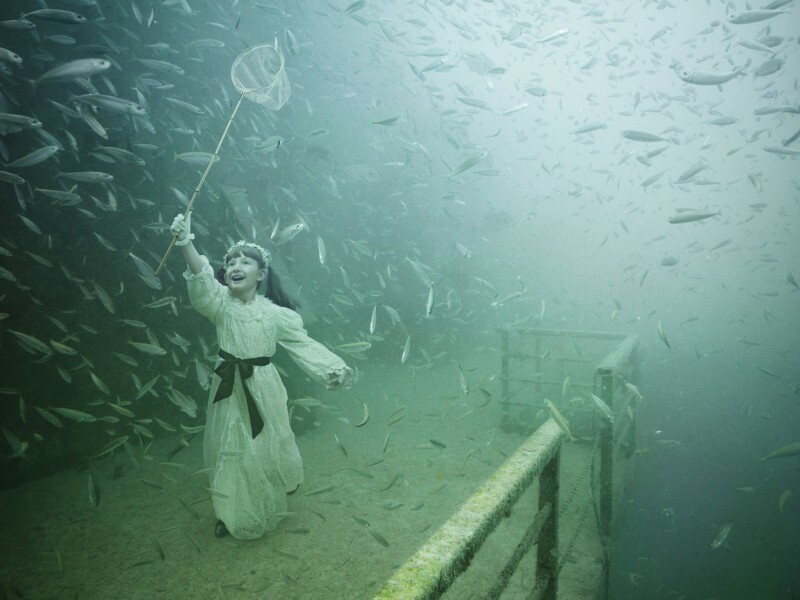 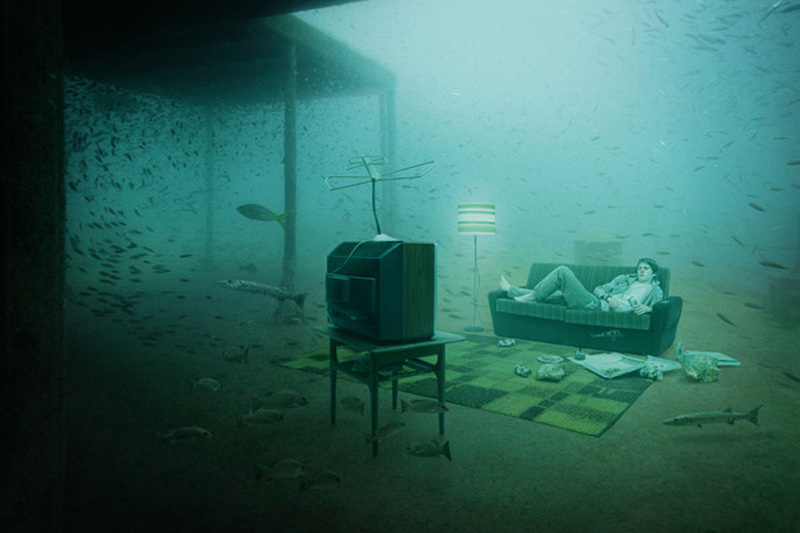 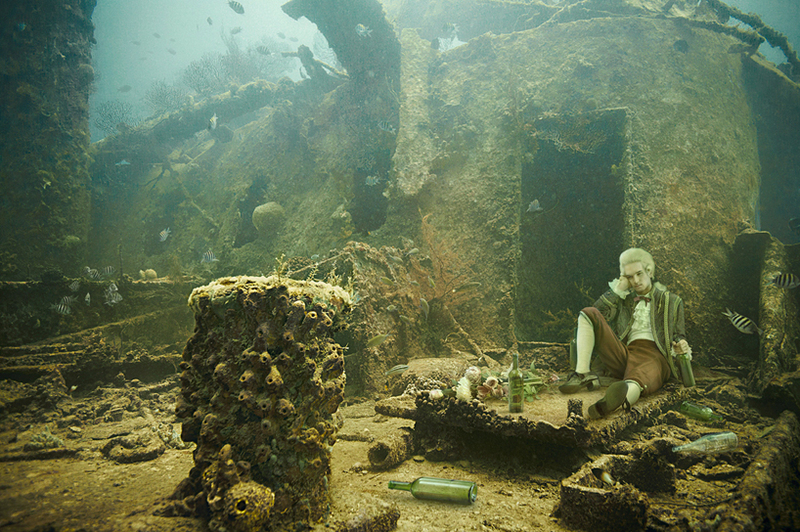 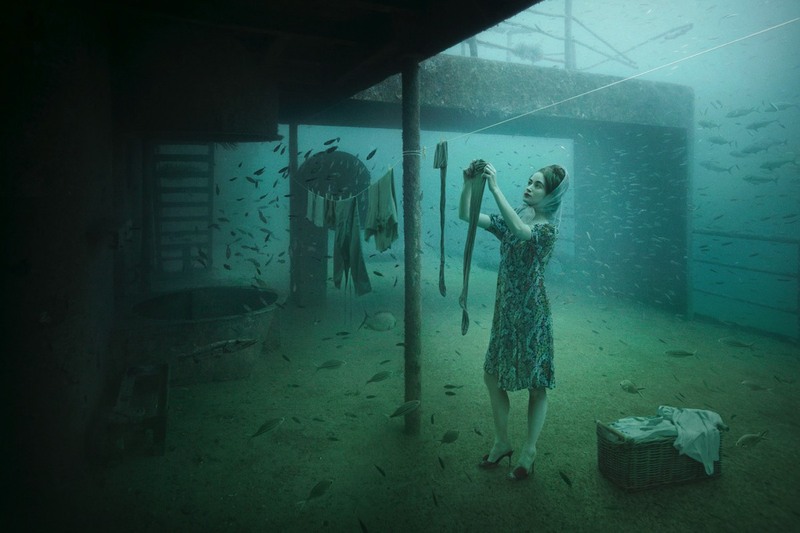 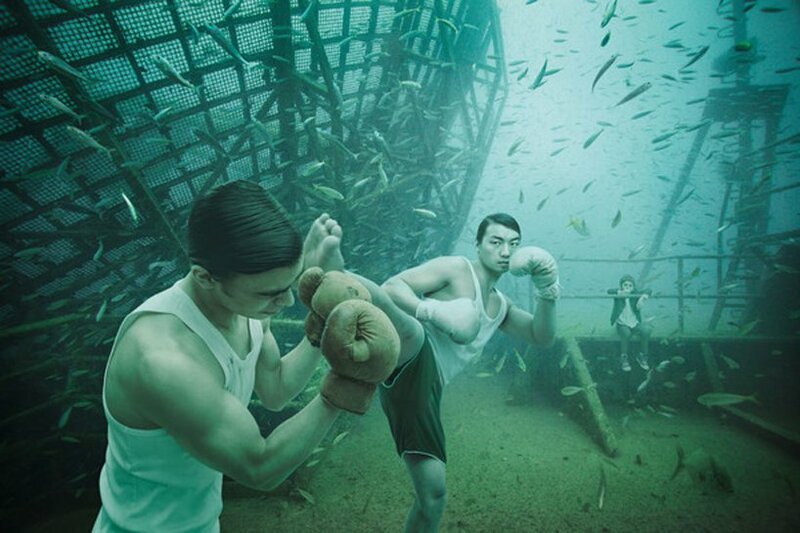 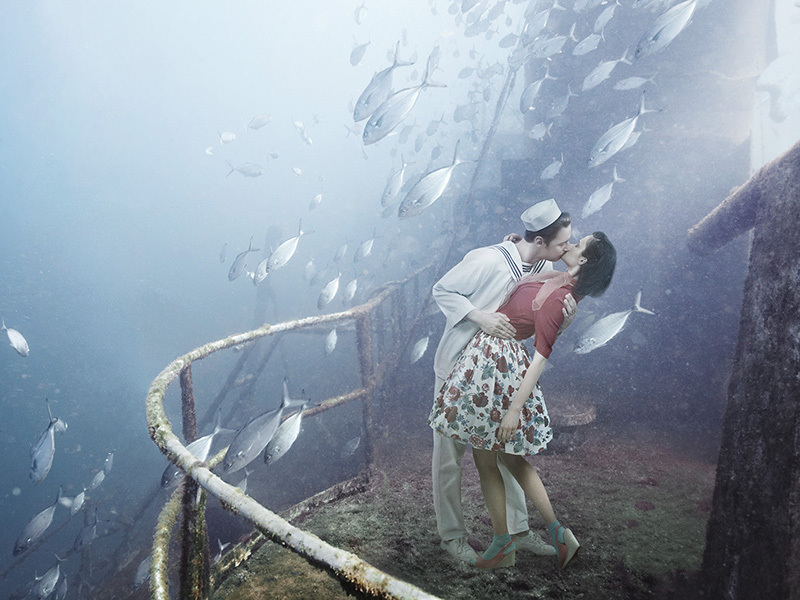 Andreas Franke is an award-winning Austrian photographer that has pushed the limits of photography, performance art and the concept of exhibition.  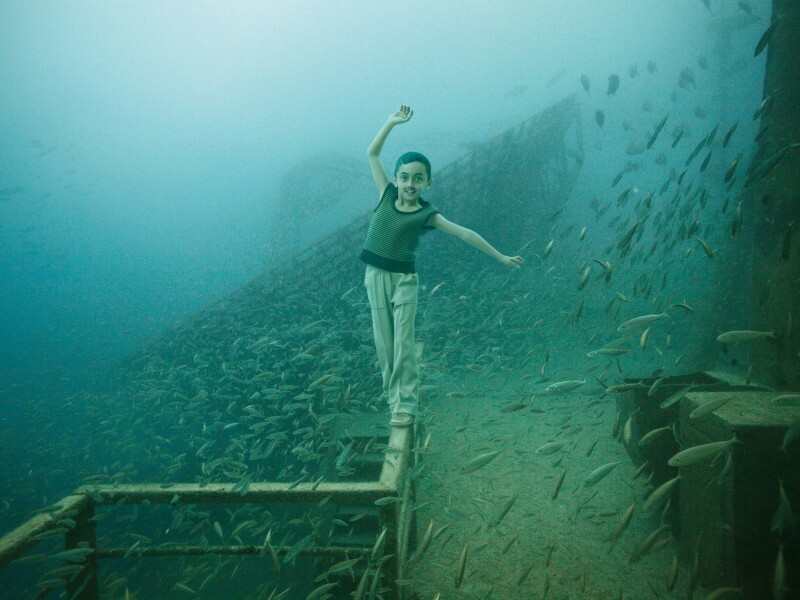 He created a display that could only be accessed by divers willing to adventure 27 meters deep into the ocean.  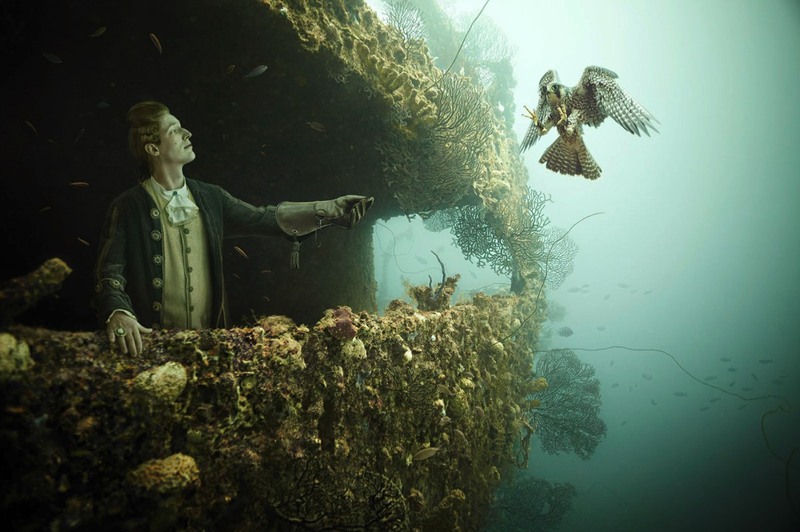 The twelve photographs in the series hanged from a sunken military ship, the USNS General Vandenberg, located off the coast of Florida. 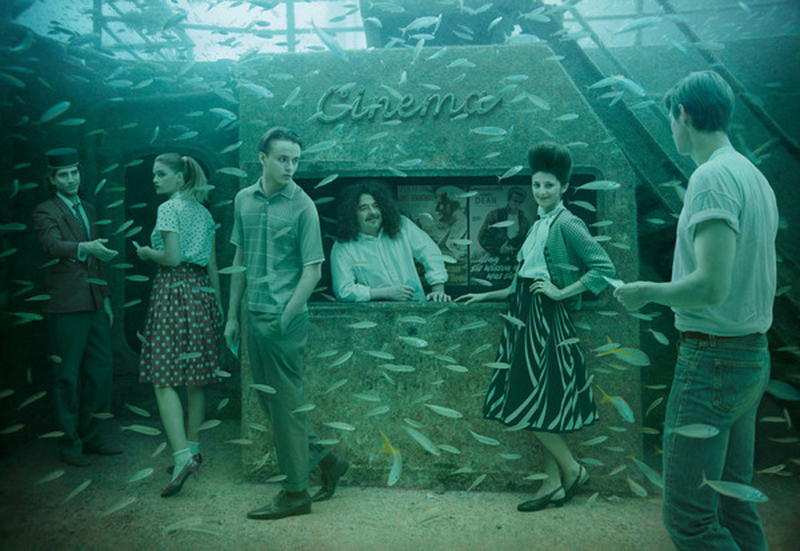 Making the project even more mind blowing, the pictures combine underwater shots of the ship with studio photographs of models in 1940s and 1950s costumes.   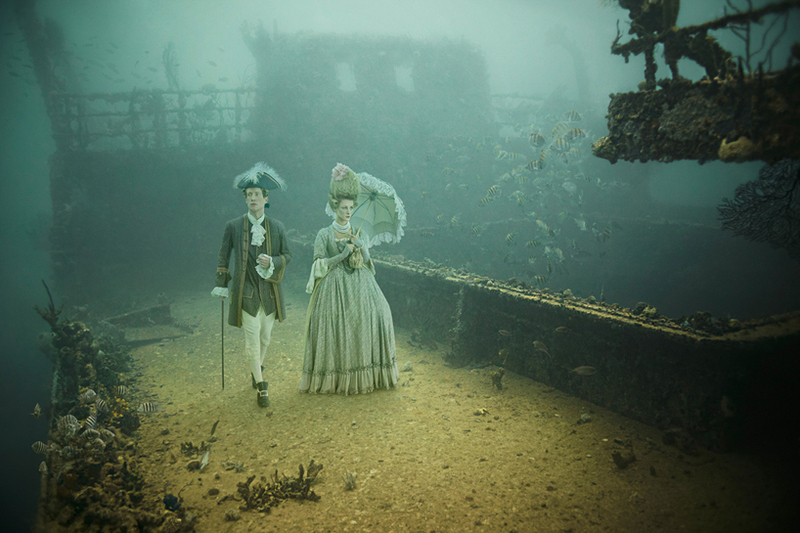 Displaying the pictures back in the underwater shipwreck creates a mesmerizing effect that is nothing short of a ghostly apparition. 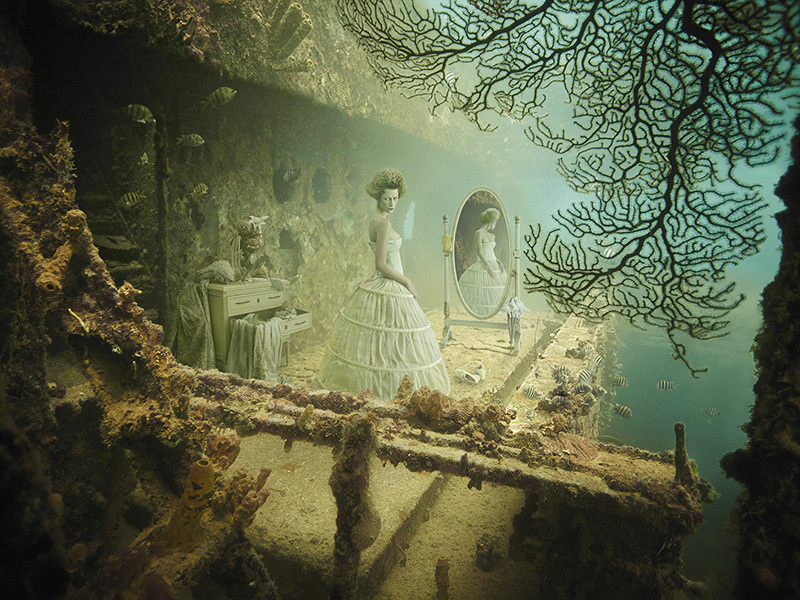 Franke has recently produced another underwater exhibition, this time on the sunken SS Stavronikita, off the coast of Barbados. 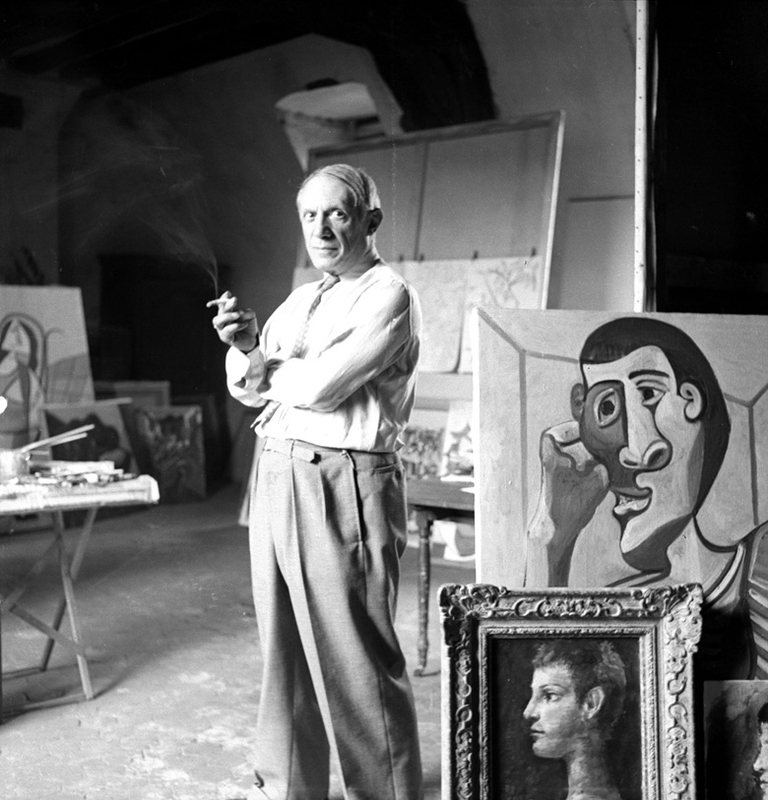 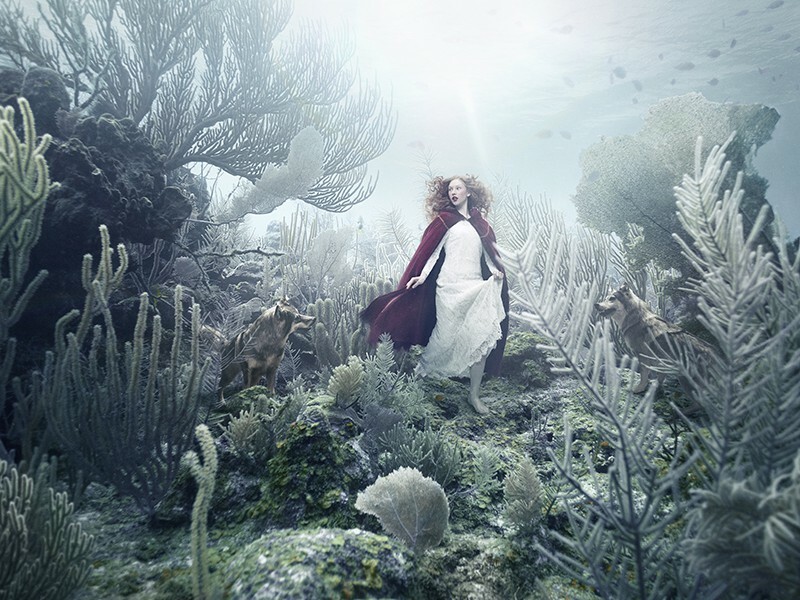 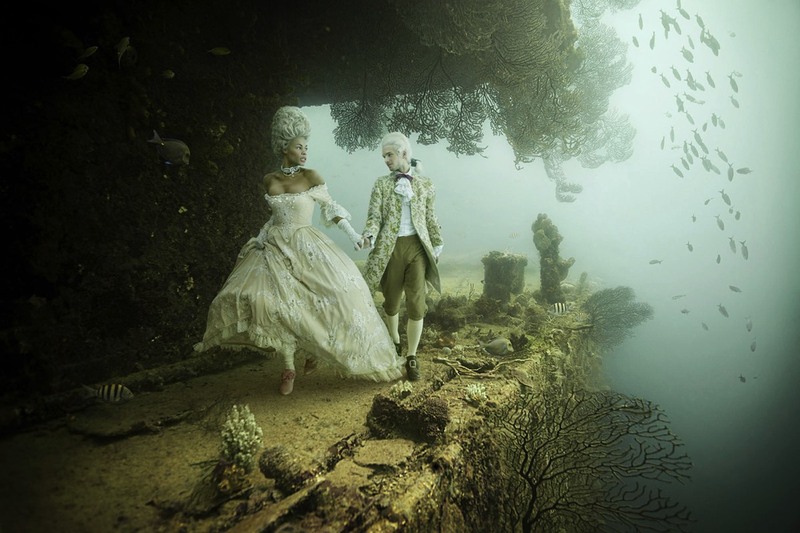 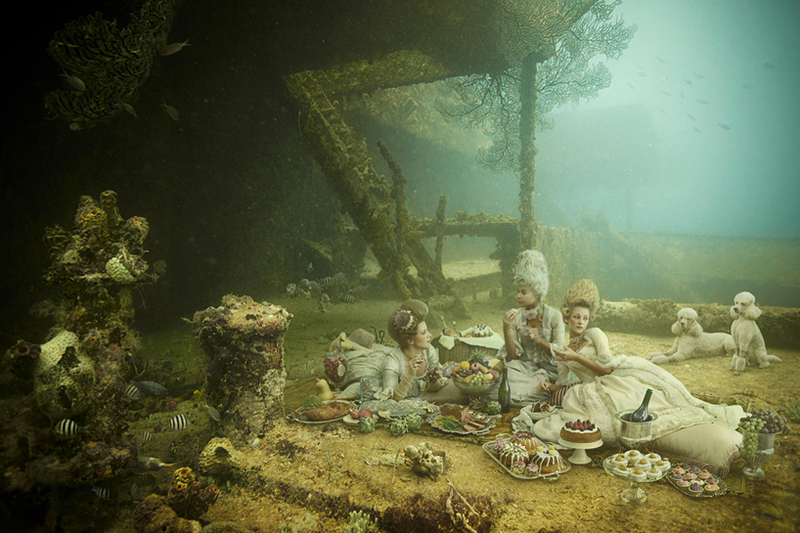 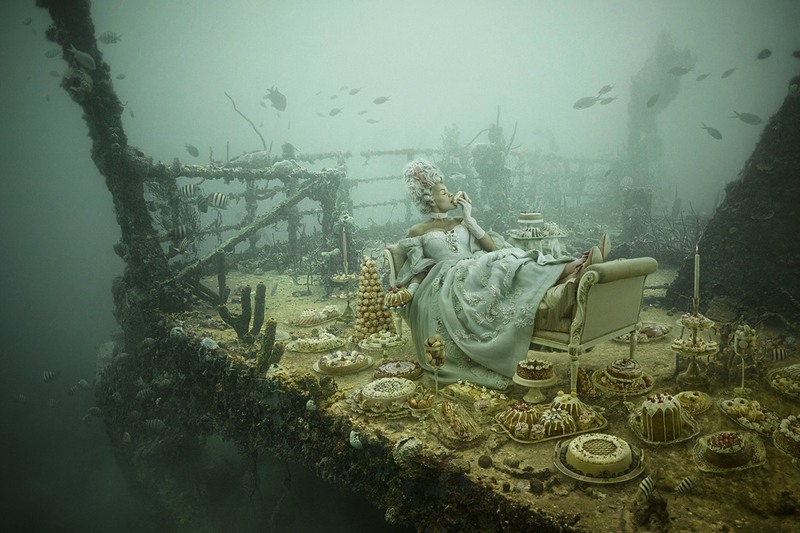 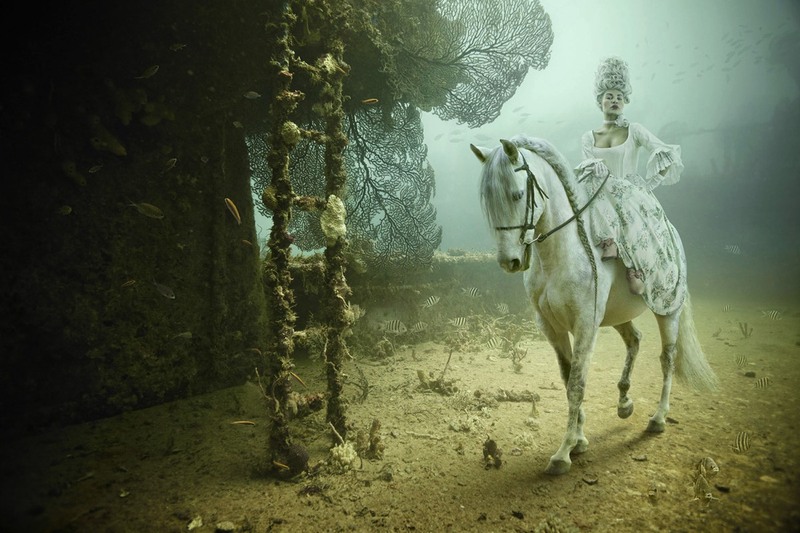 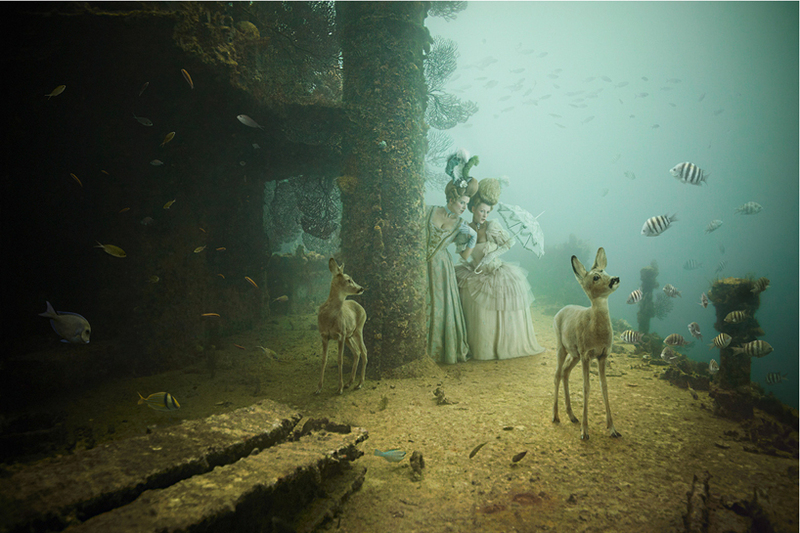 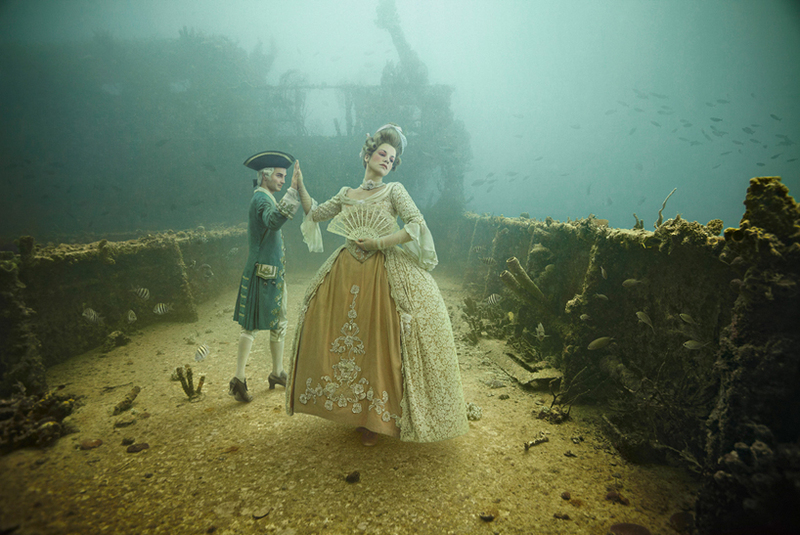 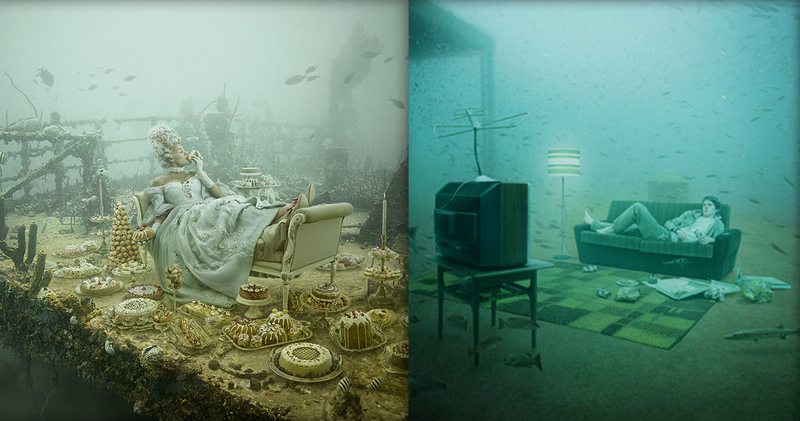 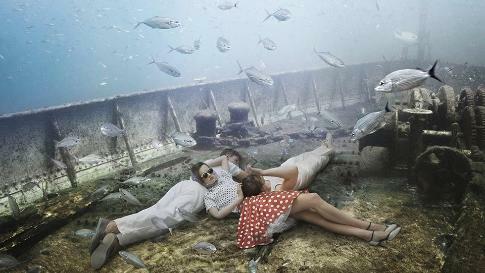 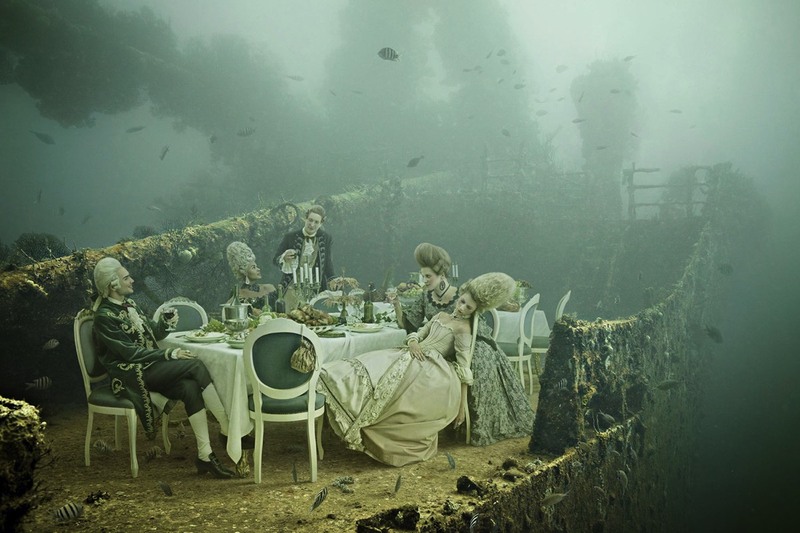 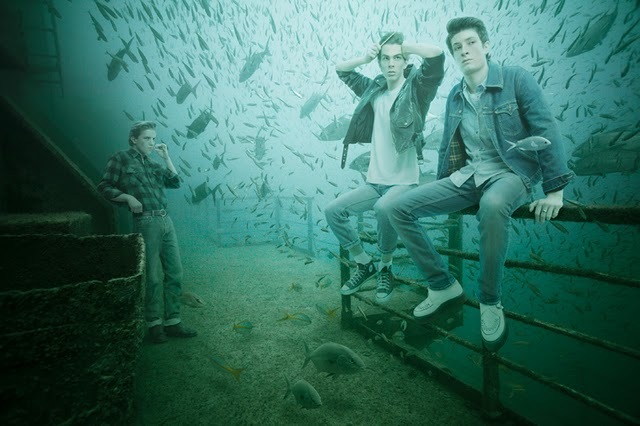 The new images depict Renaissance aristocracy in an underwater setting.